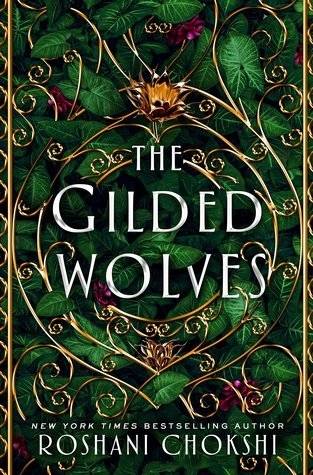 Today we're excited to spotlight The Gilded Wolves by Roshani Chokshi. Read on for more about Roshani and her book, an excerpt, plus an giveaway! From The Gilded Wolves by Roshani Chokshi. Copyright © 2019 by the author and reprinted by permission of Wednesday Books. Like all the other Houses within the Order of Babel, the French faction swore to protect and safeguard the location of their Babel Fragment, the source of all Forging power. And the other House’s line died without an heir. Even her courier — who was merely to show up at the Order auction, donate an object and leave — had failed. To his lists of clear cut errands, he’d added: get fabulously drunk at L’Eden, that gaudy sinkhole of a hotel. The art of Forging is as old as civilization itself. According to our translations, ancient empires credited the source of their Forging power to a variety of mythical artifacts. India believed their source of power came from the Bowl of Brahma, a creation deity. Persians credited the mythical Cup of Jamshid. etcetera. Around him, the masked members of the Order of Babel whipped out white fans, murmuring to themselves as they eagerly awaited the final auction bidding. Séverin tipped back his head. On the frescoed ceiling, dead gods fixed the crowd with flat stares. He fought not to look at the walls, but failed. The symbols of the remaining two Houses of the French faction hemmed him on all sides. Crescent moons for House Nyx. Thorns for House Kore. The other two symbols had been carefully lifted out of the design. Séverin raised his hands, but refused to clap. The long scar down his palm silvered beneath the chandelier light, a reminder of the inheritance he had been denied. According to his intel, the object he had come here for would be on the auction block any moment now. He knew what would happen next. Light bidding would take place, but everyone knew House Nyx had fixed the round so that the object would go to them. But though House Nyx would win the artifact, it was going home with Séverin. Séverin waited a moment before excusing himself. He walked briskly along the edges of the atrium until he made it to the quartz lion. Behind the lion stretched a darkened hall lined with marble pillars. The quartz lion’s eyes slid indifferently to him and Séverin fought the urge to touch his stolen mask once more. Disguised as the House Kore courier, he was allowed to enter the holding room and touch a single object for exactly eight minutes. He hoped the stolen mask would be enough to get him past the lion, but if the lion asked to see his catalogue coin for verification — a Forged coin that held the location of every object in House Kore’s possession — he’d be dead. He hadn’t been able to find the dratted thing anywhere on the courier. Séverin bowed before the quartz lion, then held still. The lion did nothing. Its unblinking gaze burned his face as moments ticked past. His breath started to feel sticky in his lungs. Part of him hated how much he wanted this artifact. He kept throwing his hopes into the dark and waiting for them to rot, but they persisted, sneaking back into his heart when he wasn’t looking. Séverin didn’t look up from the floor until he heard it — the scrape of stones rearranging. He let out his breath in a rush. His temples pulsed as the door to the holding room appeared. Without the lion’s permission, the door was Forged to remain unseen. All along the walls of the holding room, marble statues of gods and creatures from myth leaned out of recessed niches. Séverin walked straight to a marble figure of the snarling, bull-headed minotaur. He’d planted one of his own L’Eden decorators to make sure the statue would be in this exact spot. Séverin raised his pocket knife to the statue’s flared nostrils. Warm breath fogged the Forged blade. In one smooth line, Séverin dragged the blade’s tip down the statue’s face and body. The statue split open; the marble hissed and steamed as his Historian stumbled out of it and fell against him. Enrique gasped, shaking himself. The two of them turned to the circle of treasure, many of them Forged ancient relics looted from temples and palaces. Statues and strands of jewels, measuring device and telescopes. At the back of the room, an onyx bear representing House Nyx glowered at them, its jaws cracked wide. Beside it, an emerald eagle representing House Kore shook its wings. Other animals representing the other Order factions all around the world stood at attention, including a brown bear carved of fire opal for Russia; a wolf sculpted of beryl for Italy, even an obsidian eagle for the German Empire. Enrique dug inside his costume of an Order servant and pulled out a rectangular piece of metal identical to the compass House Nyx won. Séverin took the fake artifact. Séverin laughed. Acquiring was what he called his particular hobby. It sounded . . . aristocratic. Wholesome, even. He had the Order to thank for his acquisition habit. After denying his claim as heir of House Vanth, they’d blackballed him from every auction house so that he could not legally purchase Forged antiquities. If they hadn’t done that, perhaps he wouldn’t have gotten so curious about what objects they were keeping him from in the first place. Some of those objects were, as it turned out, his family’s possessions. After the Montagnet-Alarie line was declared dead, all the possessions of House Vanth had been sold. In the months after Séverin turned sixteen and liquidated his legal trust, he had reclaimed each and every sold House Vanth possession. After that, he’d offered his acquisition services to international museums and colonial guilds, any organization that wished to take back what the Order had first stolen. He tossed a Forged sphere into the air where it hung, suspended. Light burst from the object, sliding down the walls and over the objects to scan them. At Séverin’s nod, they positioned themselves before the onyx bear of House Nyx. It stood on a raised dais, its jaws parted just enough so that the red velvet box holding the Chinese compass shone bright as an apple. The moment Séverin touched the box, he had less than eight minutes to return it. Or — his gaze went to the beast’s shining teeth — the creature would take it forcefully. He removed the red box. At the same time, Enrique drew out a pair of scales. First they weighed the box with the original compass, then marked the number before preparing to switch it with the decoy. Séverin’s jaw clenched. It didn’t matter if it was hardly discernible by the scales. It mattered if the difference was discernible to the onyx bear. But he’d come too far to back away now. Séverin placed the box in the bear’s mouth, pushing it in until his wrist disappeared. Onyx teeth scraped against his arm. The statue’s throat was cool and dry, and entirely too still. His hand shook despite every effort to keep still. Now he was up to his elbow. The bear was rigid. It didn’t even blink. Why hadn’t it accepted the box? I so look forward to this story. The cover is very attractive. Good luck with this novel. The cover is intricate and beautiful. The story sounds compelling. This cover is my favorite of all times. The synopsis sounds intriguing and original. I like the book cover design. I think I will like the characters and storyline.